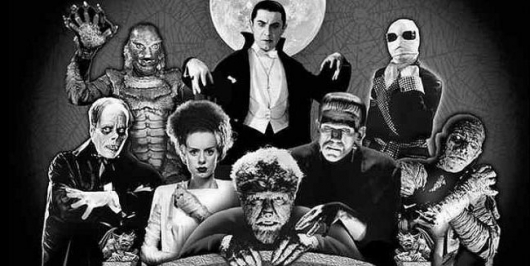 The annual event will have a maze filled with monsters inspired by some of the classic Universal horror film titles including The Wolf Man, The Invisible Man, The Phantom of the Opera, Dracula, Frankenstein, The Bride of Frankenstein, and The Mummy, to name a few. In addition to that, the one and only Slash of Guns N’ Roses will be adding a score that will give each monster its own unique kind of fright as well as add depth to the mazes. At Universal Studios Hollywood, “The Horrors of Blumhouse: Chapter Two” maze takes guests on a terrifying journey that begins at the entrance to a dilapidated movie theatre, where a compilation of horror films play out in real life. In Blumhouse’s Truth or Dare, guests will succumb to an ancient curse that has been unleashed by a group of unsuspecting college students…forcing them to play a game where the stakes are life and death. In Unfriended, guests become pawns to a supernatural entity that has invaded a chat room. Drawing inspiration from Blumhouse Productions’ infamous opening title sequence, the final feature will lure guests into a creepy old house to answer desperate cries of help…only to discover that they have actually entered a paranormal world where real-life nightmares threaten to trap them forever in misery. This comes as the studio will also have mazes based on Stranger Things, Trick ‘r Treat, Poltergeist, and Halloween 4. So there is a nice mix of all things Universal as well as some other properties.